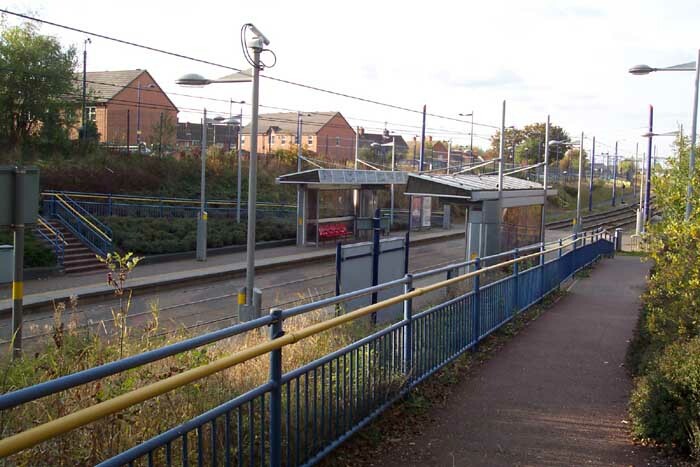 The location of Priestfield Metro stop is not precisely the same as Priestfield station which was operational between 1854 to 1972. 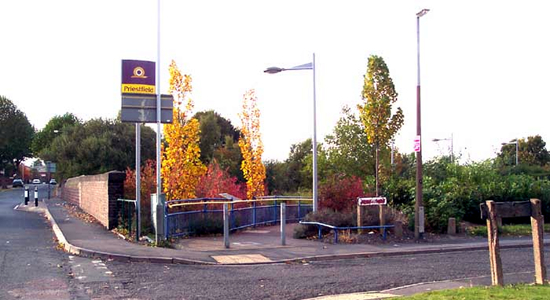 The photograph above shows the entrance to Priestfield Metro stop which is to the right and Priestfield station would have been to the left: the other side of the the George Road bridge ahead, a few hundred yards down the track. There were, however, goods sidings at Priestfield and it is on the site of these sidings that the current Metro stop is built. 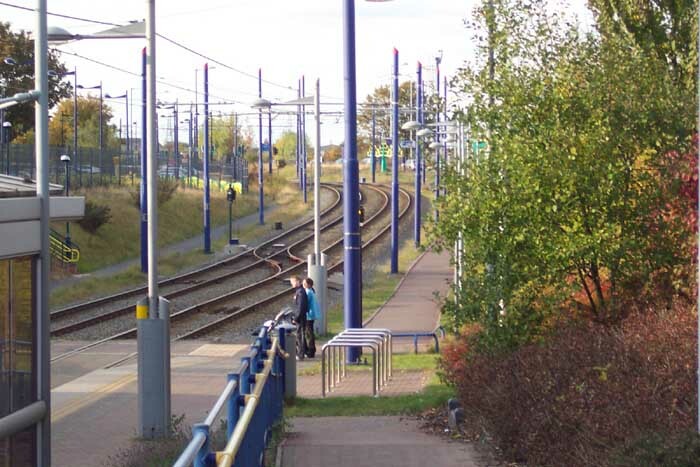 Above-left we have walked down the long entrance path to almost track-level and are looking at the stop itself in the direction of Wolverhampton. Above-right we are looking at the track as it wanders off into the distance towards Bilston Road (just around the left-hand curve) where the Metro emerges onto and runs along the roadway itself.